During the First World War, New Zealand tunnellers named vast underground systems beneath the Western Front in Europe after places from home. 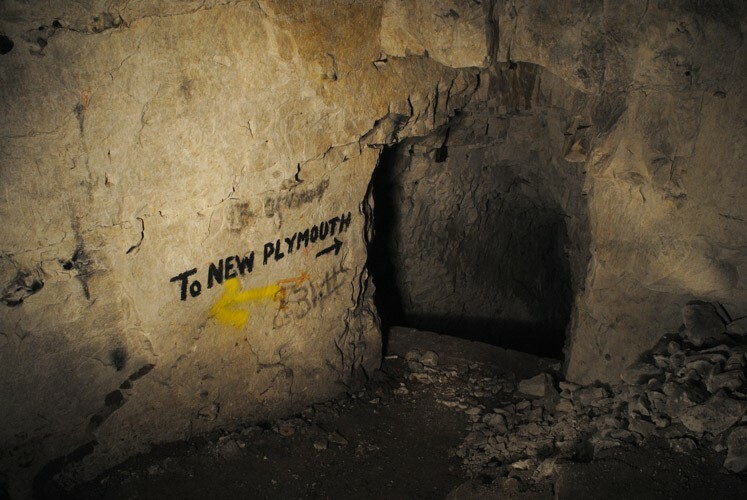 Image of directions to 'New Plymouth' cavern, Arras. © Brett Killington. 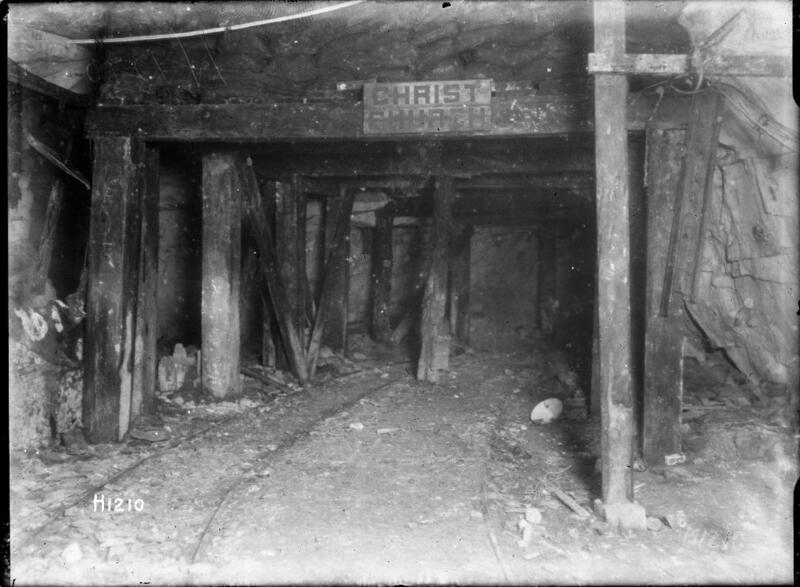 Between 1916 and 1917, the New Zealand Tunnelling Company linked a subterranean system of quarries beneath the Western Front, and named them after New Zealand places to help themselves stay oriented underground. Originally mined for chalk to build the French town of Arras, the vast network of 200 year-old underground quarries was rediscovered in September 1916. The New Zealand tunnellers were tasked with linking and extending these old quarries in preparation for a major Allied attack on the Germans. Once complete, the quarried spaces would secretly house Allied troops before they took on the enemy in the ‘Battle of Arras’. 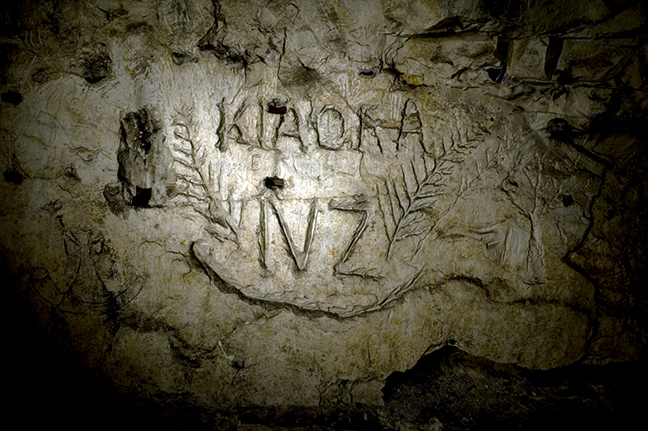 The network of tunnels remains one of the best-preserved traces of New Zealand’s contribution to the First World War in Europe. The remarkable efforts of the men who built this system will be commemorated with the opening of the Arras Tunnel beneath the new National War Memorial Park in Wellington, including a public walk-through on 27 September 2014. 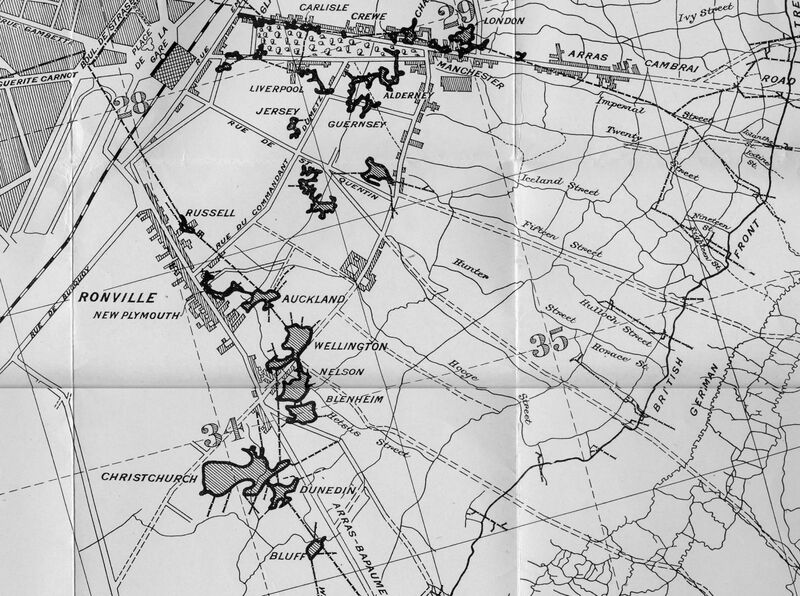 Map showing the location of the tunnels and caverns around Arras, from J.C. Neill (ed), The New Zealand Tunnelling Company 1915-1919, Whitcombe and Tombs, 1922. See the full map on firstworldwar.govt.nz. The New Zealand Tunnelling Company was a unit largely made up of quarrymen, gold miners from Waihi and Karangahake, and labourers from the Railways and Public Works departments. Some were coal miners from the West Coast of the South Island, though they had been discouraged from enlisting due to the essential nature of their industry. The tunnellers were the first New Zealand unit to serve on the Western Front, arriving on 9 March 1916. Their initial task was ‘counter-mining’, which involved identifying and destroying the tunnels the Germans were mining towards British frontline trenches. It was dangerous work. There was a constant risk of death through enemy countermines, tunnel collapse or carbon monoxide poisoning as a result of underground explosions. About 300 New Zealand tunnellers were helped at various times by British and Canadian tunnelling companies and other British and New Zealand soldiers to complete the clandestine system. These were not just narrow shafts. The extensive subterranean trenches could house up to 25,000 men. The tunnels had running water, electric lights, kitchens, latrines, a light rail system and a fully equipped hospital (including operating theatres and a mortuary). 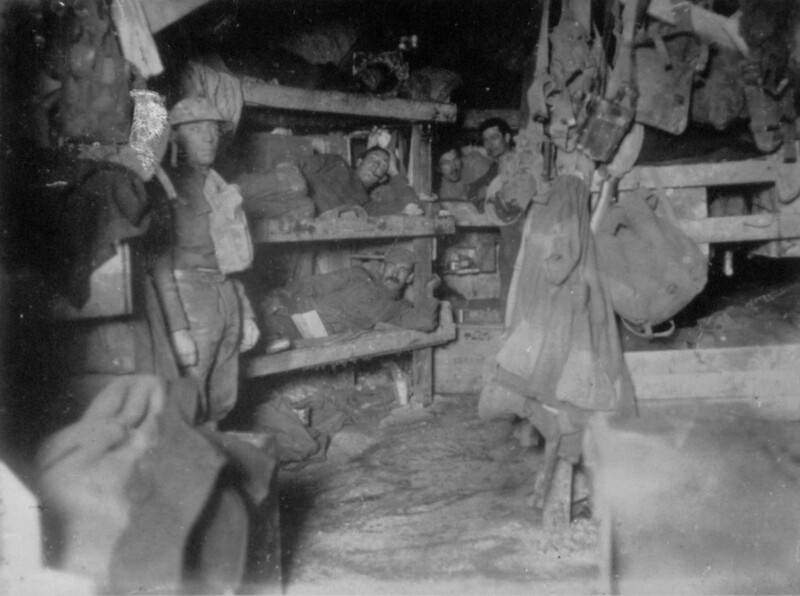 Tunnellers on bunks underground. Image courtesy of National Army Museum. To help them find their way, the New Zealand tunnellers named caverns within this labyrinthine system after places at home – from Russell at one extremity through Auckland, New Plymouth, Wellington, Nelson, Blenheim, Christchurch, and Dunedin to Bluff. The Wellington cavern now houses an underground museum and memorial, ‘La Carrière [Quarry] Wellington, Mémorial de la bataille d’Arras’. Other parts of the system had British names. You can see a map of the tunnels on firstworldwar.govt.nz. Christchurch tunnel, Arras, France. Photograph taken 4 December 1917 by Henry Armytage Sanders. Image courtesy of Alexander Turnbull Library, Ref: 1/2-013758-G.
Brett Killington, a New Zealander living in the United Kingdom, has been photographing the Arras tunnels as part of his ongoing photographic investigation of underground spaces – including those inaccessible to the public. As a New Zealander, reading Brett’s blog of his forays into the caves creates an uncanny sense of local connection to an otherwise distant land. “It is really starting to sink in how big this place is. We spent time in Blenheim today, which we got to by walking through a bit of Nelson. Both these spaces are massive and during the war were capable of housing around 1700 men between them. The height of both are much greater than Auckland, the space we have spent most of our time in this trip”. Image of directions to New Plymouth cavern, Arras. © Brett Killington. In his blog, Brett also writes “there is so much graffiti on the walls but quite a lot in Blenheim is from WW2”. The tunnels were used as secret air raid shelters during the Second World War before they were sealed up for over 50 years, adding more graffiti to the ‘markers of home’ produced by New Zealanders during the First World War. The walls are adorned with personal names, pictures of sweethearts, and words such as “Kia ora”. Apart for graves and memorials, the quarries are one of the very few physical traces left behind by the New Zealanders on the Western Front. They stand as a piece of New Zealand – and an emblem of kiwi ingenuity – forever located beneath foreign fields. It seems only fitting that almost 100 years later we strengthen and reciprocate this connection by naming the tunnel beneath our national war memorial park in Wellington ‘Arras’. Acknowledgements: In addition to websites linked to, this article draws on historical research provided by Matthew Buck, Senior Advisor Heritage, New Zealand Defence Force. Brett Killington can be contacted through his website, and welcomes opportunities for exhibiting his unique photographs in New Zealand.